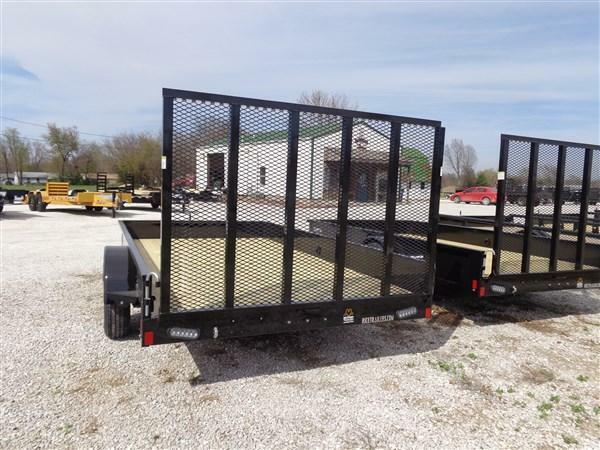 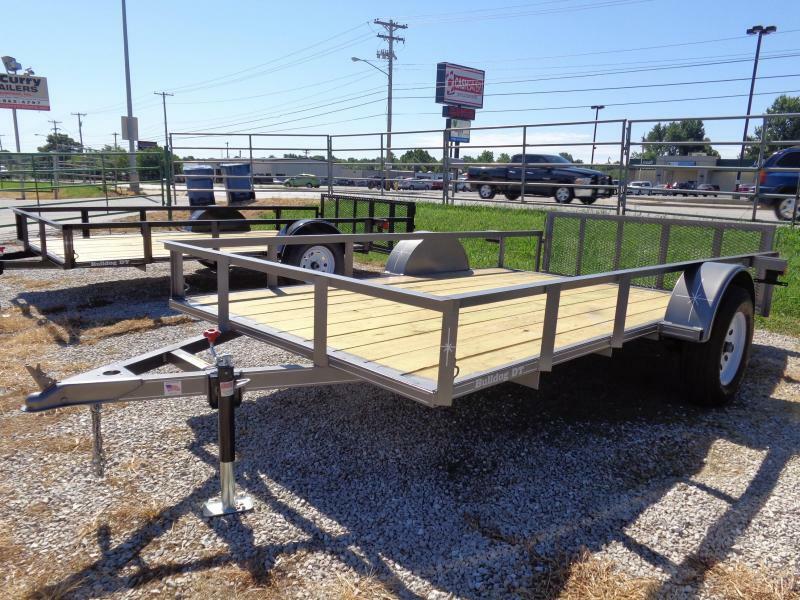 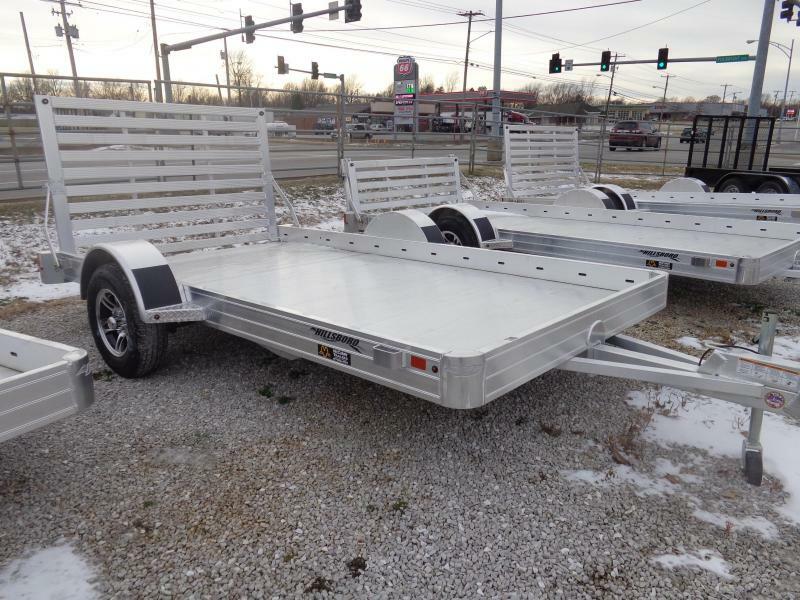 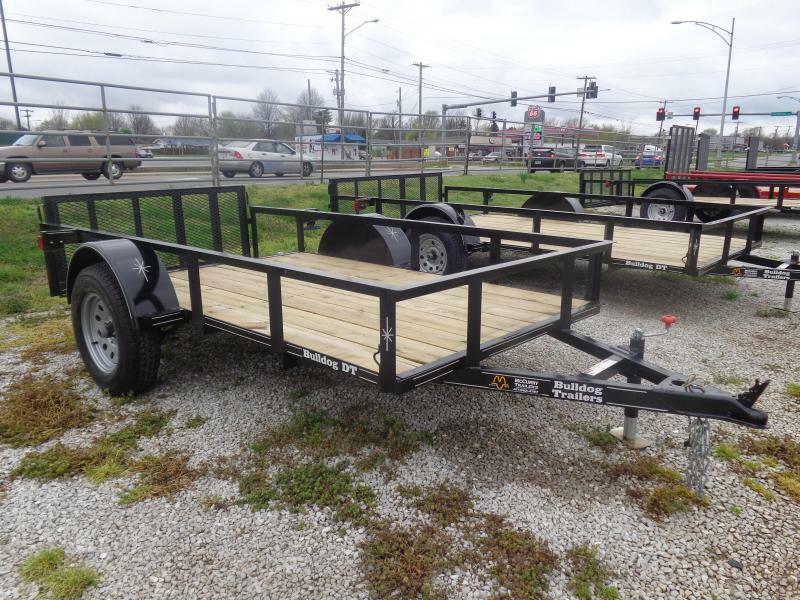 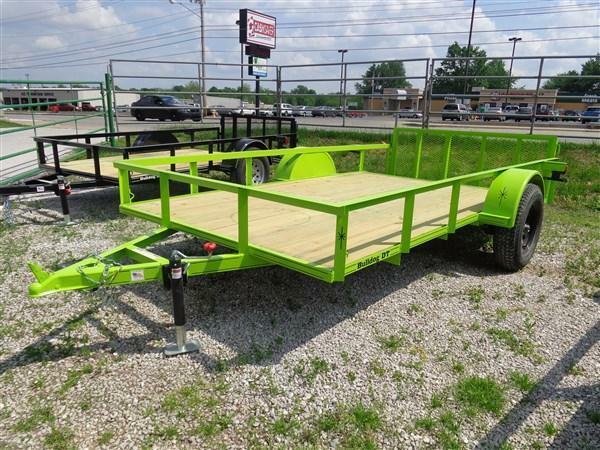 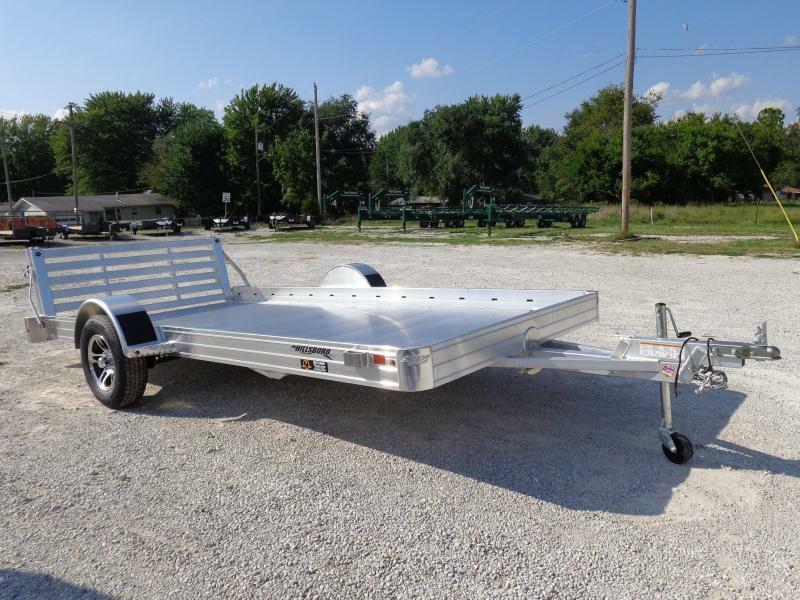 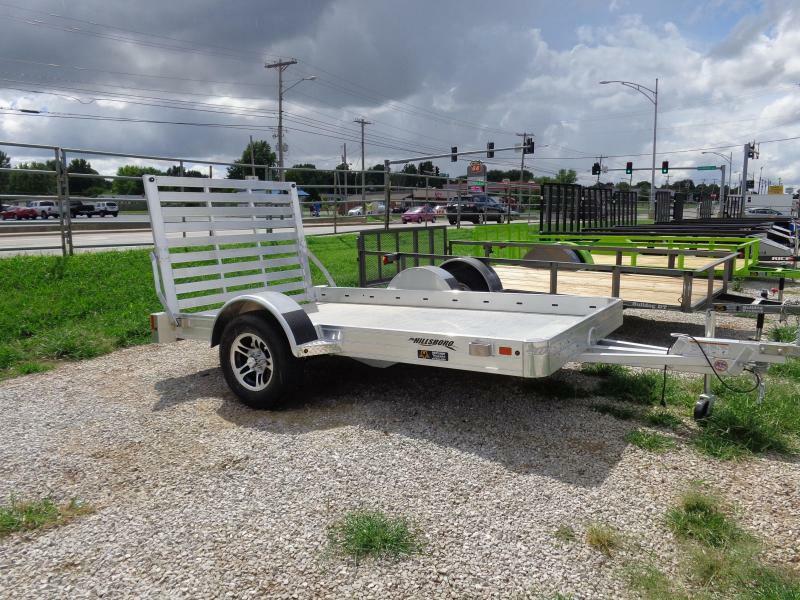 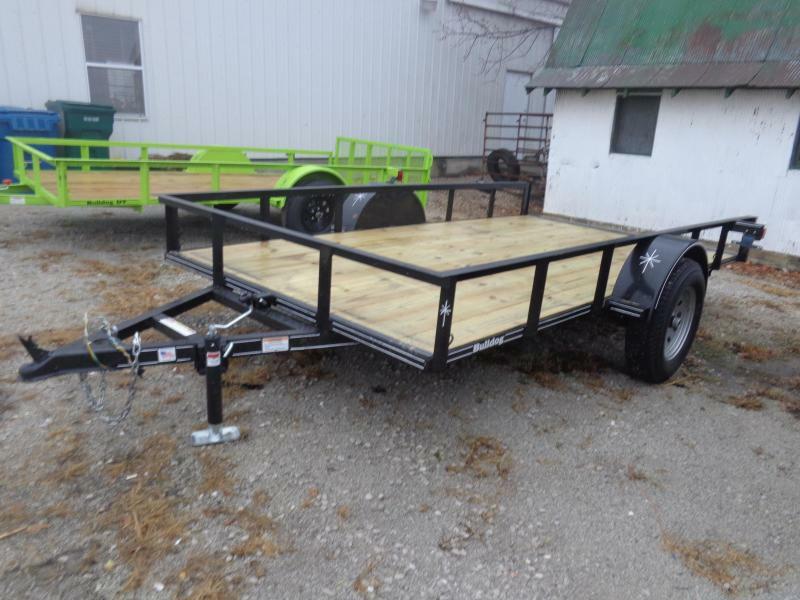 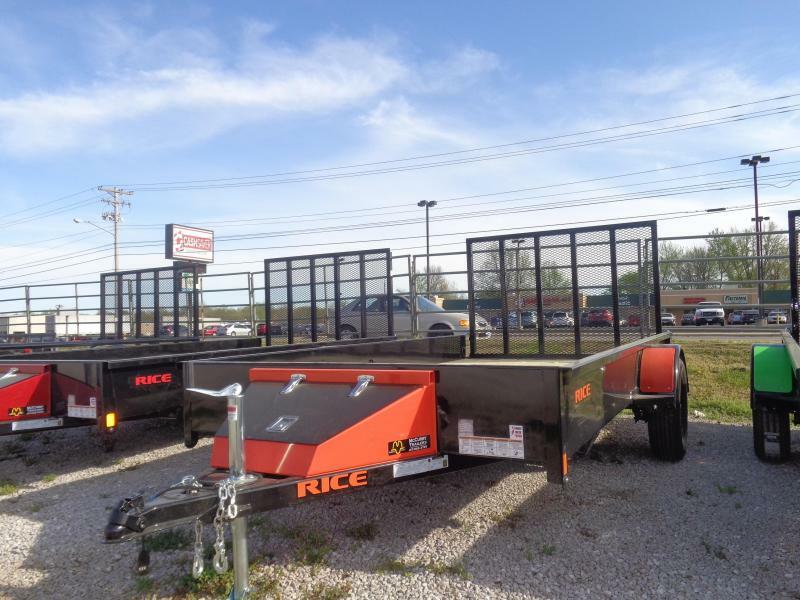 Utility Trailers | McCurry Trailers in Springfield MO is your local Springfield MO Trailer dealer for flatbed utility trailers, enclosed cargo trailers, stock trailers, and trailer service. 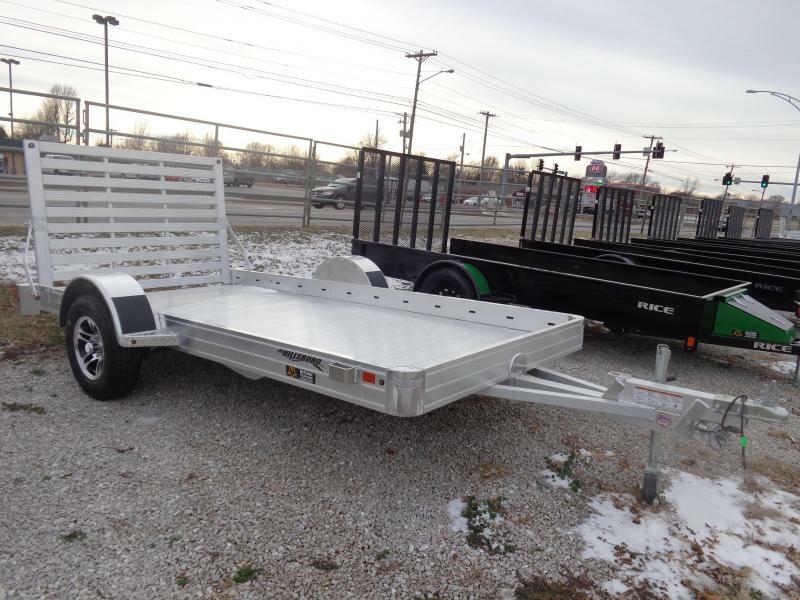 5' x 10', Includes a 2' Dovetail with a 2' Drop Gate, 2" 5,000# Coupler, Safety Chains, 3,000#,Swivel Jack, 3,500# Idler Axle, 2x2x3/16 Angle Frame, 2x2x3/16 Cross Members, New Trailer Tires (ST205/75/15) & LED Lights! 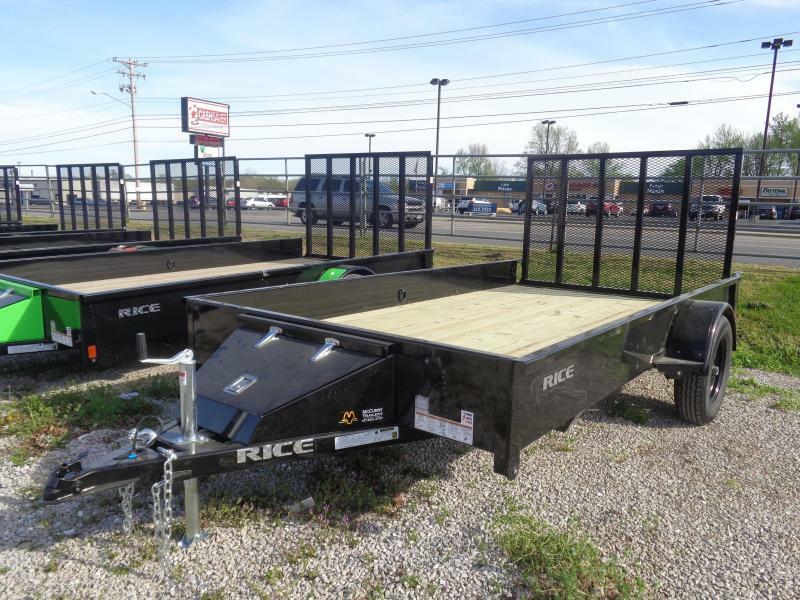 76" x 12, Includes a 2' Dovetail with a 2' Drop Gate, 2" 5,000# Coupler, Safety Chains, 3,000#,Swivel Jack, 3,500# Idler Axle, 2x2x3/16 Angle Frame, 2x2x3/16 Cross Members, New Trailer Tires (ST 205/75/15) & LED Lights! 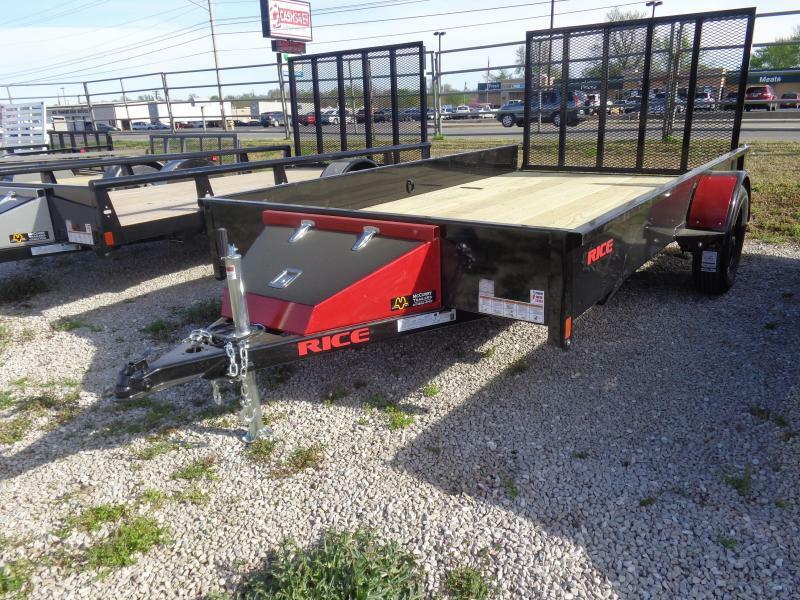 76" x 12' 2" 5,000# Coupler, Safety Chains, Swivel Jack, 3,500# Idler Axle, 2x2x3/16 Angle Frame, 2x2x3/16 Cross Members, New Trailer Tires (ST205/75/15) & LED Lights! 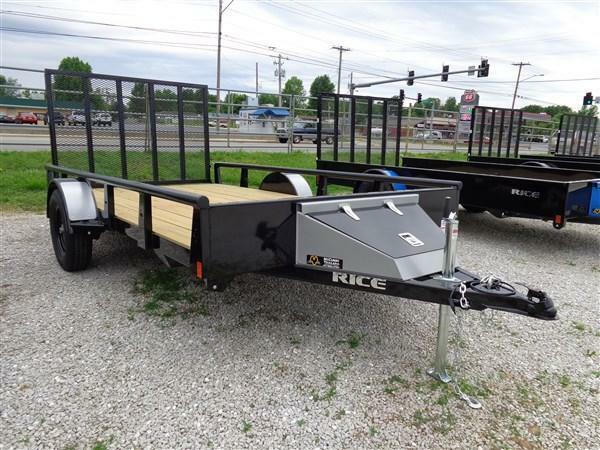 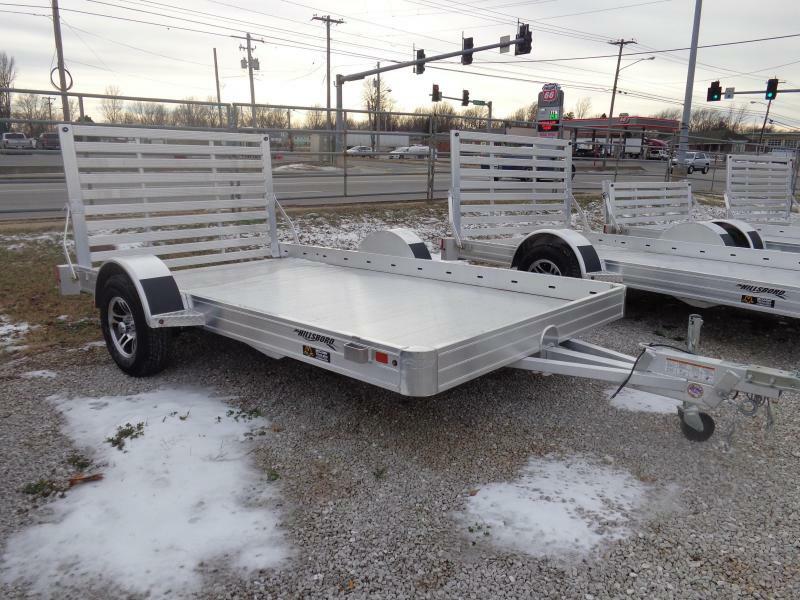 Lockable Tool Box, 4' Drop Gate, 14" Solid Metal Sides w/ 6 (six) D-Rings Inside Bed, 1-3500# Axle, New 15" 6-Ply Radial Trailer Tires, Treated Floor, Jack Set Back, Enclosed Wiring, LED Lights, Powder Coated! 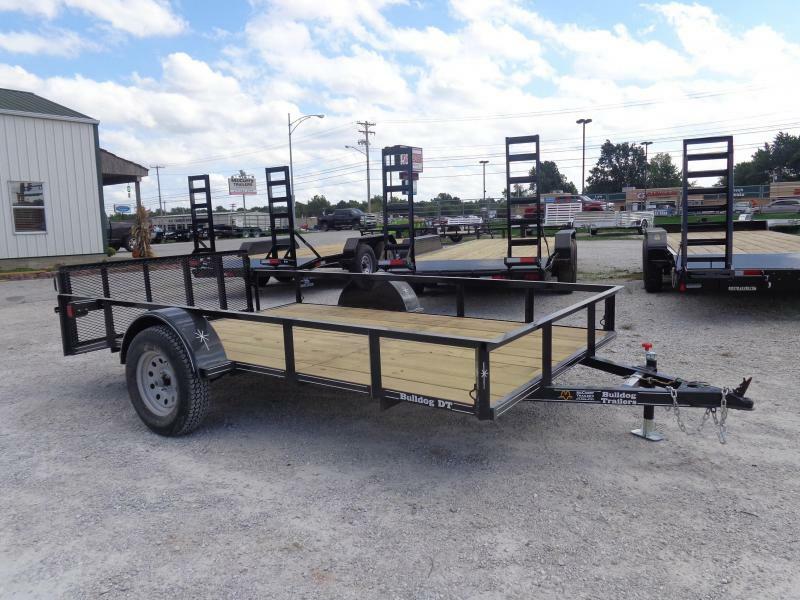 Black with Silver Out Pkg, Lockable Tool Box, 4' Drop Gate, 1-3500# Axle, New 15" 6-Ply Radial Trailer Tires, Treated Floor, Jack Set Back, Enclosed Wiring, LED Lights, Powder Coated!